Most traumatic brain injuries come from car accidents, falls, and sports or recreational activities. 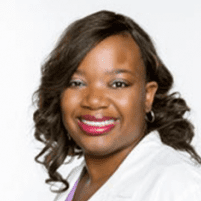 No matter what causes your brain injury, Sharisse Stephenson, MD, at Neurological Associates of North Texas has extensive experience performing a thorough evaluation and providing the treatment you need to promote optimal healing. Every head injury, no matter how mild, is a serious concern that needs medical care. To schedule an appointment, call one of the offices in Abilene or Dallas, Texas, or use the online booking feature. A concussion is a mild traumatic brain injury caused by a blow to your head that makes your brain hit the skull. Due to the trauma, brain cells are damaged and physical and chemical changes develop that affect your brain’s ability to function. One concussion isn’t likely to cause long-lasting brain damage. However, permanent brain damage and a degenerative brain condition called chronic traumatic encephalopathy are concerns when you suffer repeated concussions. What symptoms develop following a concussion? Although a concussion may cause a loss of consciousness for a short time, most people stay awake. Your symptoms may develop immediately or be delayed for a few hours or days. The effects of a concussion can last for weeks or become an ongoing problem. When your symptoms persist, the condition is called post-concussion syndrome. A traumatic brain injury (TBI) develops following a violent blow to your head or a penetrating head injury. Depending on the severity of the trauma, tissues in your brain may be bruised, torn, or start bleeding, potentially resulting in temporary or permanent damage to your cognitive and physical functioning. A severe TBI can result in an extended loss of consciousness, coma, or death. What symptoms develop following a traumatic brain injury? Common symptoms such as a headache and confusion may progressively worsen following a TBI. How is a brain injury treated? If you have a concussion, the best treatment is rest. Your brain needs time to heal, so Dr. Stephenson may recommend reducing physical activities and limiting tasks that demand mental concentration. A moderate to severe traumatic brain injury often requires hospitalization so your condition can be constantly monitored and complications can be minimized. Hospitalization is vital when bleeding and swelling are present or possible. When you sustain a concussion, you should have it evaluated at Neurological Associates of North Texas — call or book an appointment online.